Today's post is courtesy of my lovely husband. I have been using a new range of shaving products from the company The Real Shaving Co, I must be honest and say I've never heard of the brand before but since learning about them I have seen their products lots. One of the most appealing qualities of the brand has to be their affordability, the prices are very reasonable and cost friendly. I will 100% be investing in this range and even think I may treat my dad! I was kindly sent the following products for review purposes and will give my honest opinion based on my experiences using the products. Ultra Light Shave Foam 150ml £3.99. This was my favourite product from the Step2 range, I suffer from sensitive skin and often get the horrible shaving rash with redness and soreness. I found this particular foam so light and easy to use, it lathers very well and covers the face easily. The consistency of the foam is unlike any I have tried before, I find with the majority of shaving foams they are thick and heavy on the skin and then take ages to rinse off. Where as this foam rinses away so quick and easy and keeps my razor hair free which is a big bonus! The scent is very pleasing and refreshing on the skin, you can really tell this range is made using quality ingredients which are beneficial for the skin. Traditional Shave Cream 125ml £3.99. I have to be honest and say this was my least favourite product and I found this didn't fit or suit my skin type and routine. I'm use to using a product which lathers on my skin and found this heavy and to thick to work with, I actually found myself re-applying it half way through a shave. I think with a sharper and closer razor blade I wouldn't have experienced any problems. This reminds me what I would expect from a barber shop shave. The scent is pleasing like the other products. Ultra Moisturising Shave Gel 125ml £3.99. This was my second favourite product from the Step2 range close behind the Shave Foam. The Shave Gel lathers up well and has the fresh scent like the other products which is very refreshing on the skin especially in the morning. I actually found this more moisturising than the Shave Foam, the gel contains tiny micro beads which disperse vitamin E and Jojoba which is good for reducing razor burn. These tiny beads are hardly noticeable on the skin and in way feels like a facial scrub. This is the final step in my shaving routine and you could say they've saved the best till last. The moisturiser is very light on skin yet surprisingly hydrating. I was very impressed with how my skin felt a few minutes after the initial application. I have found that with some moisturisers when applied your skin still feels uncomfortable and feels like you need to apply another layer. Non- greasy and doesn't leave you with a shiny face which is good. I did find I used a little bit more than I probably normally would but only needed to apply this once. The price is incredible, plus this has an SPF15 which is great if you're exposed to all seasons. I've used this daily and will definitely be picking up another one when I am running low. Overall I would really rate this brand, I like their clear cut packaging their brand logo stands out and looks good quality. Products are free from parabens, SLS or SLES. 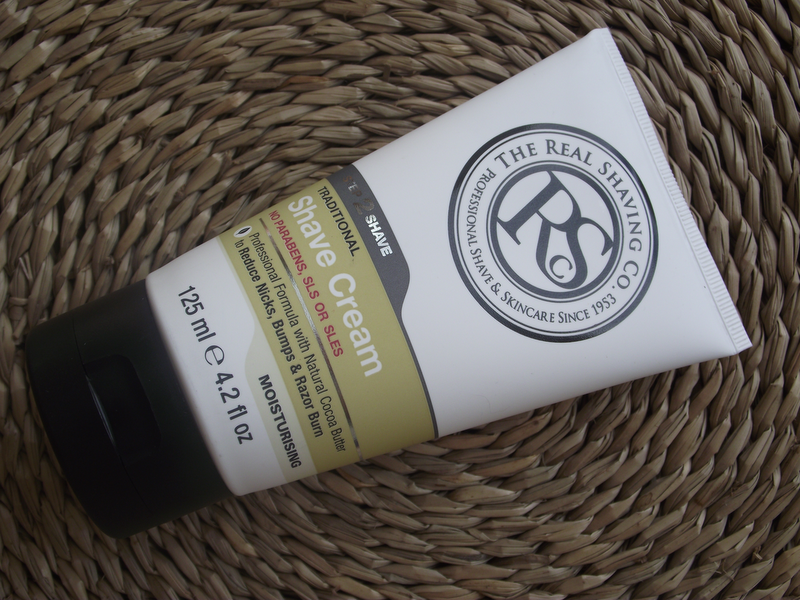 You can find The Real Shaving Co from Boots, Morrisons, John Lewis and Waitrose.